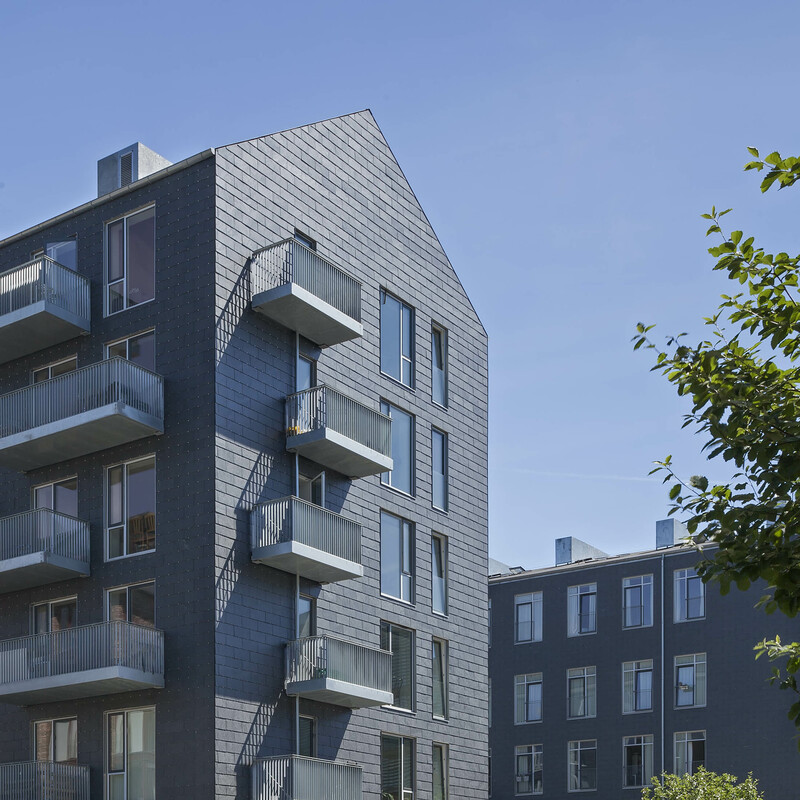 Formeriet is a counterpart to the neighbouring Støberiet building, which was converted by DesignGroup Architects in 2015. 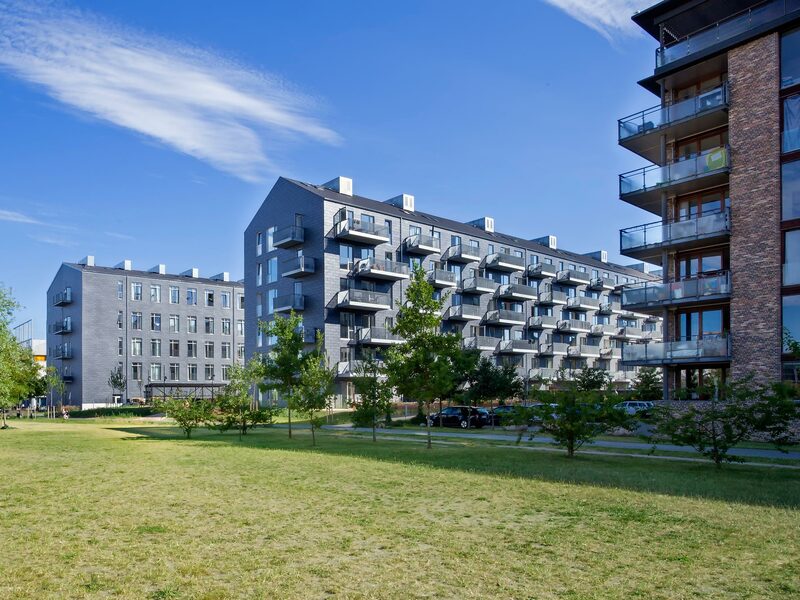 The simple geometry reflects both Støberiet and the informal grid of Teglholmen. 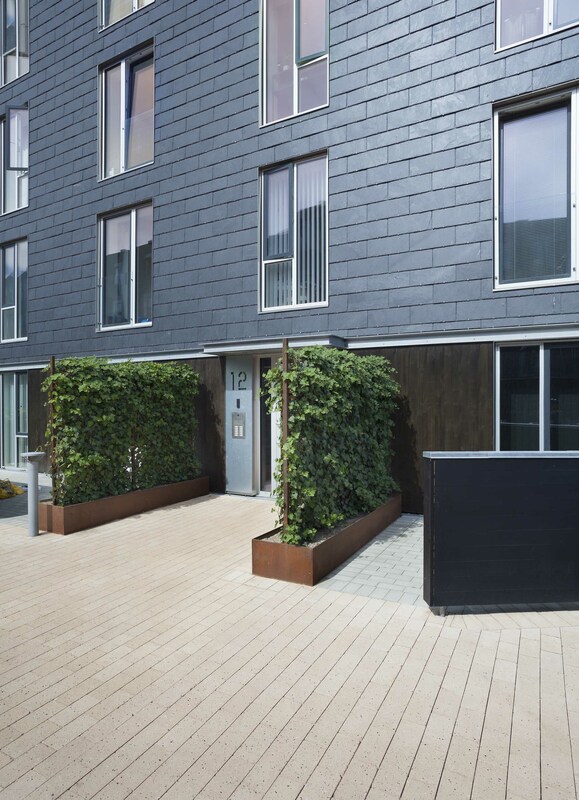 The two buildings Støberiet and Formeriet frame a communal garden which opens up to ‘Den Grønne Kile’-park, which runs through the area and connects the building to the city’s cycle network. 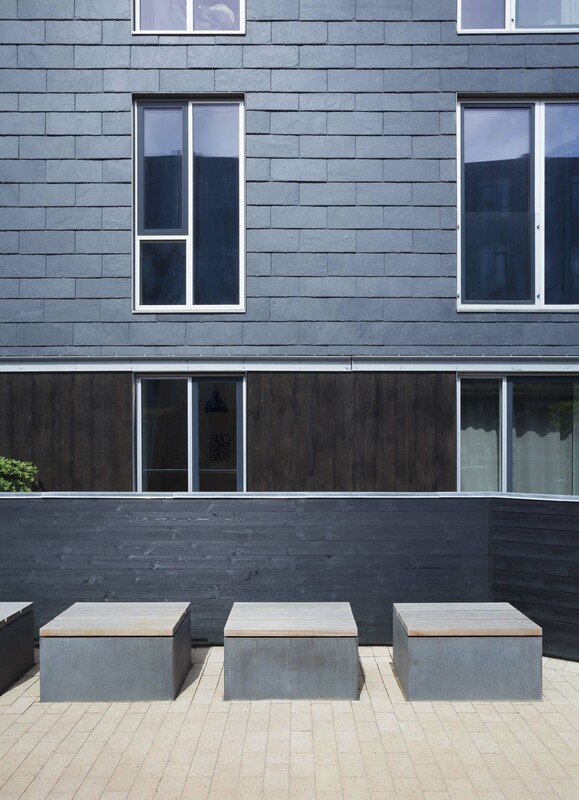 Formeriet’s facade is in black slate with windows in aluminum and with felt roofing. Steel is used by the entrances as a reference to the area’s industrial past. 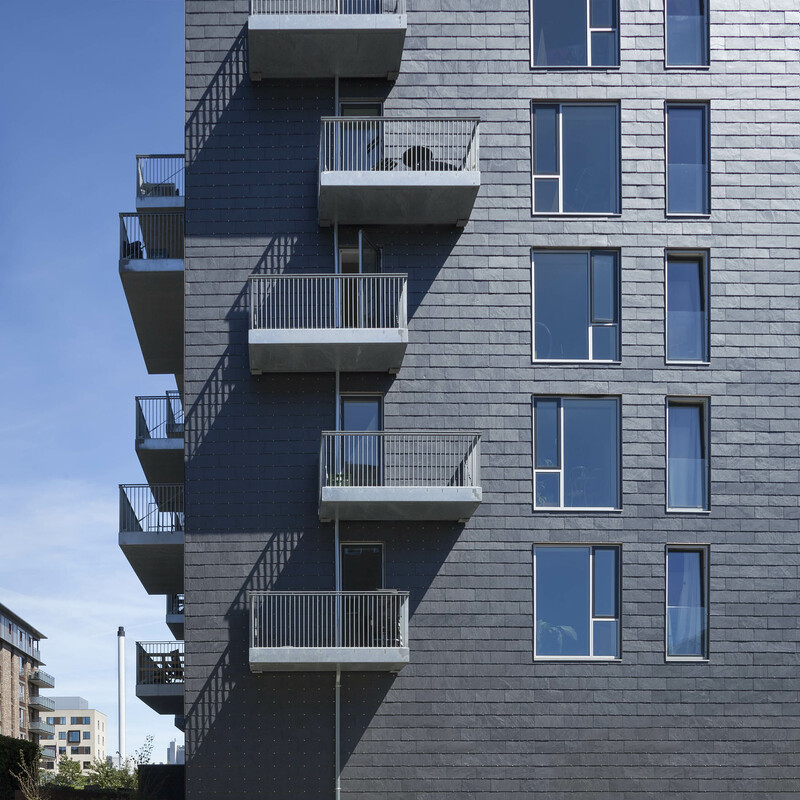 The pitched roof hides the ventilation and extract ducts which are gathered together to form replicas of chimneys. Car parking is provided underground. 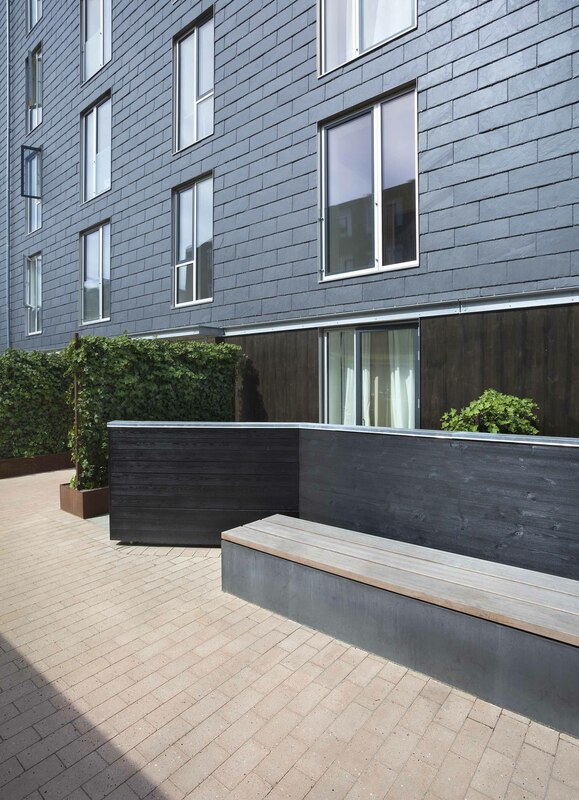 All flats have a west facing balcony and the ground floor flats have gardens facing both west and east, acting as a bufferzone from the semi-public area.